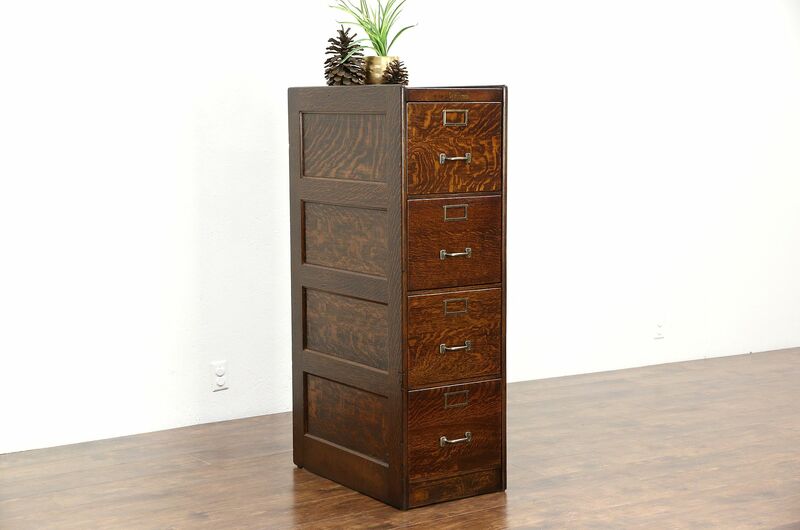 A superior quality four drawer filing cabinet is vibrant quarter sawn oak, signed "Wagemaker of Grand Rapids, Mich."
The restored finish is in excellent condition preserving a little patina. Sides are paneled on this antique office or library furniture. Drawers glide smoothly and do not have pushers, they could be fitted with a wire hanging file frame if desired. Interior size fits standard files. Brass hardware is new. Size is 16 1/2" wide, 27" deep and 52" tall.